I had to go collect my laptop from a PC repair after I dropped it at home here a while back. Unfortunately the hard drive was spinning up when I dropped it so the drive had to be replaced. The repair was going to take about a week but I needed a laptop for work so I bought a cheap one to use and put this repair off until the next payday. I collected it a few days ago. The repair shop is in the Greenhills area of Manila in V-Mall. Also in V-Mall is a good model shop. I saw the Dragon kit of the IJA Type 95 Ha-Go Light Tank. I have some in 1/285 scale so thought it would be nice to get one in 1/72 scale as well. When I got it home I had to have a look inside (actually, a quick inspection was made at the shop to ensure it was all there before bringing it home). 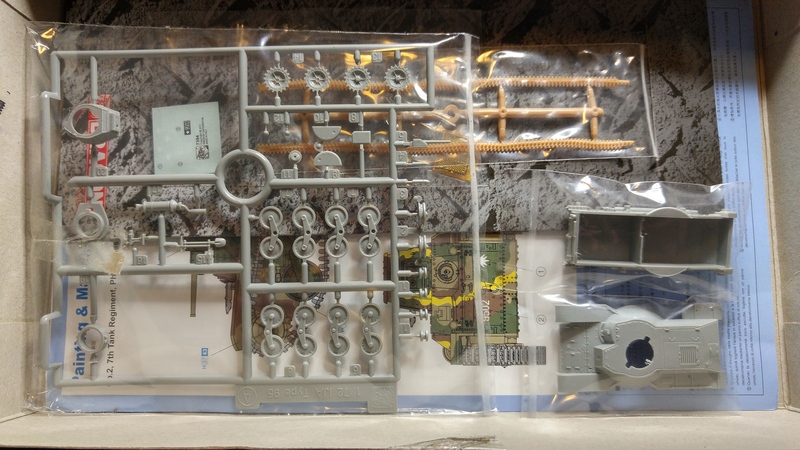 The model is tiny, especially when viewed inside the packaging. You can see how tiny the hull is in respect of the box in the picture to the right. The parts look crisply cast though and I like the use of etched brass for the exhaust cover on the tank. I’m looking forward to building this wee beastie. I will document the build when I do it. 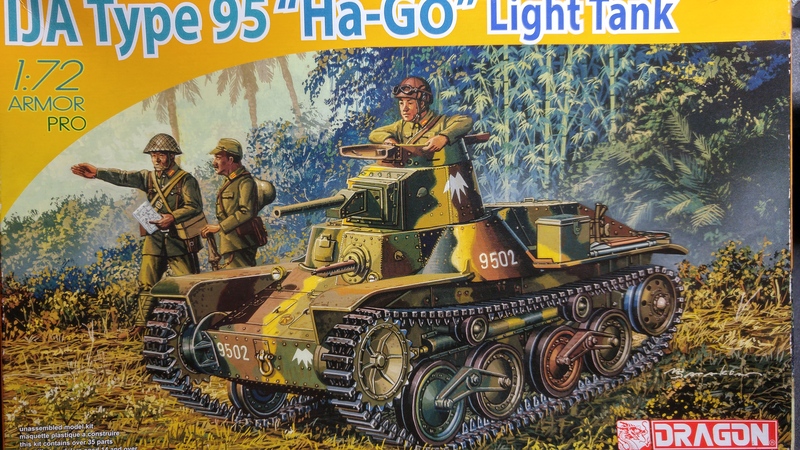 Next Article How Big is the Type 95 Ha-Go Light Tank? Go you, I have been finding the kit building quite therapeutic. As I commented elsewhere, it’s nice to be faced with a problem that can be resolved with glue and filler…. I have a very nice Modelcollect T64 in the stash that will face of my M60A3 at some point. What are you using to glue the Dragon tracks? Just normal superglue (CA). Finally finished the BMD-1 I reckon it looks good.